Iran is holding a British-Iranian mother on charges of plotting a coup d’état because the UK government is refusing to pay a 40-year-old debt, according to the woman’s husband. Nazanin Zaghari-Ratcliffe has been in prison since her arrest by Iranian Revolutionary Guards on April 3 at Imam Khomeini airport, where she was due to fly back to Britain with her two-year-old daughter. Nazanin was sentenced in September to five years in prison for using a “spy network” to attempt to overthrow the Iranian government. She was arrested while on holiday visiting family and her British passport was confiscated. 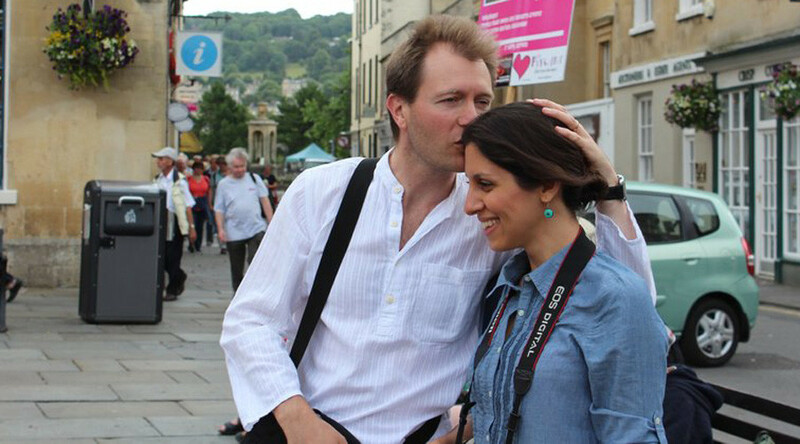 Nazanin has since gone on hunger strike for five days and has threatened to commit suicide. Family members claim her physical health is deteriorating. Ratcliffe accused the British government of “inviting this treatment on its citizens all the time it refuses to pay its debts” and has started an online petition on Change.org calling for her release. Tehran alleges the British government owes around £650 million for walking out of an arms deal signed by the Shah before the Iranian revolution in 1979, according to the Sunday Times. Iran paid upfront for Britain to deliver 1,500 Chieftan tanks and 250 repair vehicles, but the British sent only 185 tanks, the newspaper reported. A European court ruled in 2010 that Britain should repay £400 million, but so far London has yet to reach an agreement with Tehran. The Foreign Office rejected the claim, saying it is doing all it can to help Nazanin and her family. Amnesty International believes more needs to be done to secure her release.